Online registration for the 19th IALA Conference scheduled to take place in Incheon, Republic of Korea, from 27 May to 2 June 2018 will be available on the official website (http://www.iala2018korea.org/) from 1 October 2017 onward. Early registration is highly recommended. Apart from being a great help to the host nation, it gives delegates a substantial discount on the conference fee, provided they complete their registration by 31 January 2018. Please note that all deadlines are expressed in Korean Standard Time, UTC+9, firm deadline is 23:59hrs. The Conference’s Best Practices Competition encourages the sharing of best operational and managerial practices with regard to all aspects of marine aids to navigation including operation, process, systems, products and services. It provides an opportunity to celebrate the achievements of individuals, working groups, teams and organizations that have been responsible for initiating and/or managing the introduction and implementation of best practices. IALA and the Korean Ministry of Oceans and Fisheries of Korea have decided to jointly host the international competition with a view to encouraging a culture of innovation. The evaluation committee will review the presented best practices and award the top two a prize worth EUR 1,000 and EUR 800, respectively. The awards will be presented at the closing ceremony of the Conference on 2 June 2018.
. The application must be made through the 19th IALA Conference Secretariat, by emailing the completed Application Form documenting the submitter’s best practices to: BP@iala2018korea.org . Applications must be received not later than 30 November 2017 (Korean Standard Time, UTC+9, firm deadline is 23:59hrs). All participants in the Conference will be offered a hotel reservation service. The official hotels have been selected after careful consideration of such factors as distance to the venue, amenities, security, etc. Reservation at these hotels can be made at special discount rates for participants. Please note that in order to benefit from the discount the reservation must be made by 5 May 2018 (Korean Standard Time, UTC+9, firm deadline is 23:59hrs). An exciting programme with a variety of activities to experience Korean culture first-hand will be provided for partners of Conference participants. Further information may be obtained by email from: tour@iala2018korea.org . Please note that only those whose registration fee payment has been confirmed are eligible and applications must be received not later than 13 May 2018 (Korean Standard Time, UTC+9, firm deadline is 23:59hrs). In case of cancellation or any other change, advance notification is a firm requirement and must be provided via email to: tour@iala2018korea.org . The Support Council for the 19th IALA Conference held its second session in Seoul on 25 August 2017. Participants from National, Associate and Industrial members of IALA joined representatives of the Incheon Metropolitan City, the Incheon Tourism Organization and the Conference organizer to discuss a number of coordination matters and ensure the success of the Conference. 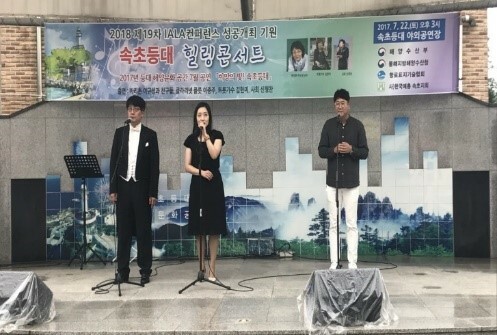 The Sokcho Lighthouse (Gangwon province) was the venue of a so-called “healing” concert, which took place on 22 July 2017. The aim was to pray for the success of the 19th IALA Conference. 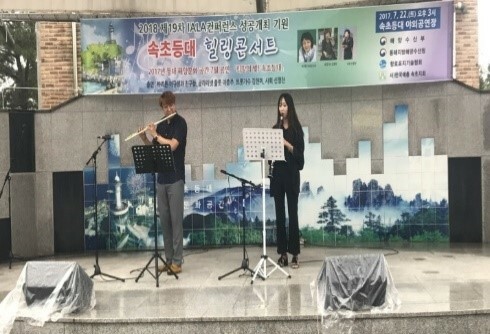 The concert delighted the audience with a variety of musical styles ranging from classical music to Korean pop music. 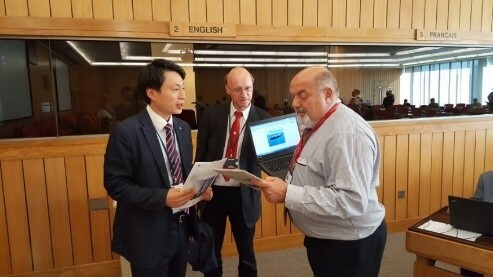 The 13th meeting of the Joint IMO/ITU Experts Group on maritime radiocommunications was held at the headquarters of the IMO in London from 10 to 14 July. 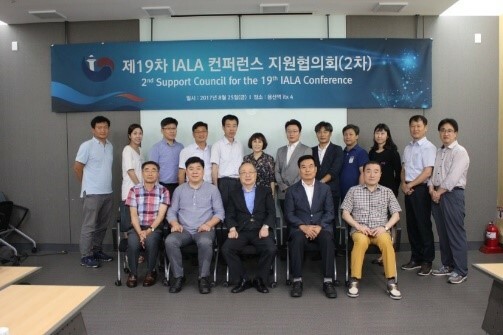 Mr Cho Taehyung, who is a member of the e-Navigation Project Team at the Ministry of Oceans and Fisheries, participated in the meeting and invited delegates to attend the 19th IALA Conference.